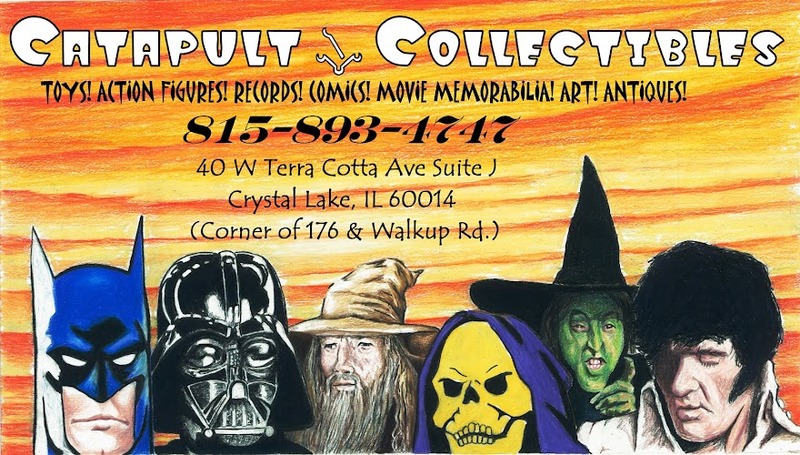 Catapult Collectibles is a toy store, a record store, a comic book store, an antique store, and an art gallery all in one place! We specialize in vintage and collectible toys, action figures, records, comics, movie memorabilia, art, and antiques. So whether you like Star Wars, Star Trek, GI Joe, He-Man, Batman or are into The Beatles, Elvis Presley, Johnny Cash, or Miles Davis, we have something for you! We are located in Crystal Lake, IL, about half way between Rockford and Chicago.